Canton, Georgia, is located less than an hour away from the bustling metropolis of Atlanta. Canton merges picturesque southern living with the convenience of a large city nearby. Canton is experiencing a population surge, with growth more than doubling between 2000-2010. If you love the idea of a rural retirement but don’t want to be too far away from the big city, this historic town could be the perfect choice for you. 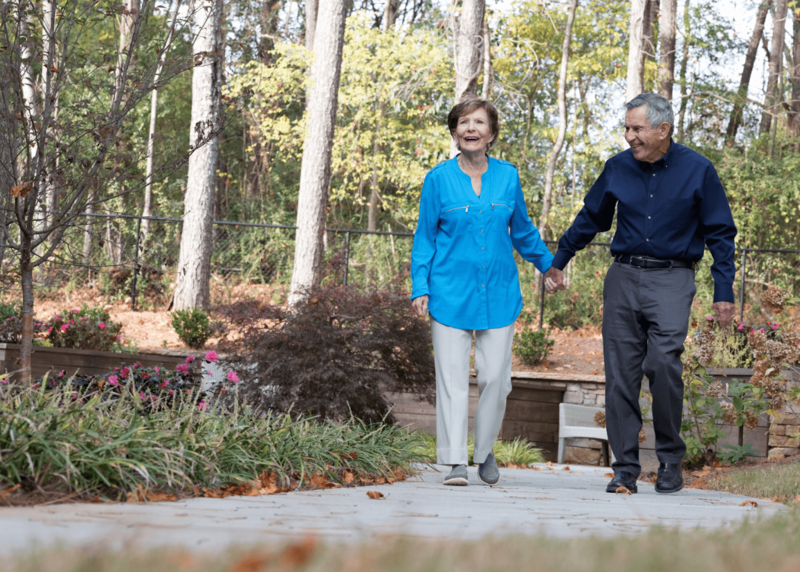 Senior living in Canton offers picturesque natural beauty, the chance for numerous historic trips, and ready access to all the conveniences of Atlanta. Is Senior Living in Canton Right for You? Canton is a quick 45-minute drive from Atlanta, but don’t let its close proximity to a massive city fool you. Life here is distinctly rural, with plenty of cow and goat farms and lots of beautiful parks. Residents are thrilled that it’s seen a surge in development in recent years, and have welcomed modern conveniences and a handful of national chains. Despite these changes, Canton retains its small-town charm. It boasts abundant fishing, hiking, and hunting opportunities as well as an active and well-run municipal government. Some seniors find that the challenges of old age—less mobility, injuries, difficulties driving—make it more difficult to enjoy all that Canton has to offer. With no public transportation, it’s easy for residents to feel trapped. The right senior living community can change this. You no longer drive, and feel increasingly isolated and lonely. Keeping up with the demands of your home is overwhelming. You have more space than you need. The challenges of saving for a rainy day or unexpected home maintenance are stressful. You want to spend more time with friends, form new friendships, or get a second chance at romance. You’re often bored, but don’t know how to change that. So what does the right senior living community in Canton look like? The answer is as unique as you are. Referrals from friends, family, or medical providers can help you begin your search. Online reviews can offer further insight. Ultimately, you’ll learn the most from a visit to the community. What specific activities are available, and how regularly? Is there transportation to local events or stores? What assistance is available if I need it? Is the community connected to an assisted living community in case I need more help? What amenities are included in the community? How’s the food? Can you cater to my dietary needs or preferences? Consider eating a meal while you’re there. Once you’ve narrowed down your options, make a list of your wants and needs. Then compare them to what you’ve learned about each community you tour. Consider getting a second or third opinion from a loved one. As you begin downsizing and initiate the transition to senior living, don’t be surprised if you have some mixed feelings. Every transition presents unique challenges. The transition to an active and engaged senior community is no different, so be patient and give it time. Don’t be afraid to try new things, to ask for help, and to call on loved ones when you need them. Within a few months, you’ll probably be living a more exciting and active retirement than you ever thought possible. Visiting the Etowah Indian Mounds. The home of a real-life Romeo and Juliet story, the Etowah Indian Mounds are a memorial to the tragic deaths that brought two tribes together. Check out the nearby museums and gift shops, and take a picnic. Taking the grandkids to Tanglewood Farms Miniatures. Featuring a miniature petting zoo, an active dairy farm, and tons of seasonal events, Tanglewood Farms offers the perfect kid-friendly outdoor adventure. Going for a stroll along Etowah River Park. With its lush brick-lined waterscapes, Etowah River Park is the perfect destination for a romantic picnic or quiet family gathering. Walking through Georgia National Cemetery. This historic cemetery features thousands of soldiers’ graves, beautifully landscaped grounds, and trees that turn a gorgeous hue of red in the fall. Heading to Canton Marketplace. This new shopping development features dozens of chain stores and plenty of places to get a snack or meal. Canton is a great place to call home, and an even better place to spend your retirement. If you’re contemplating a move or looking into senior living options, Arbor would love to help. Visit us or learn more about our BridgeMill location here.